"This Dark Ambient album features original extraterrestrial sounds captured from space by radio-telescopes. 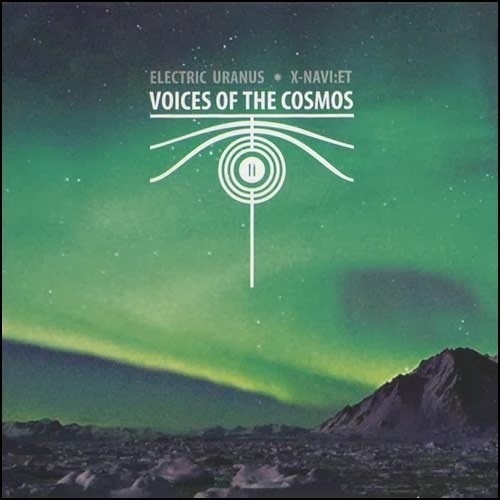 "Voices of the Cosmos II" is the continuation of the previous album. In this case the radio signals, related to the activity of the Sun, became the main source of inspiration. The record was created during the 2013 solar maximum (activity cycle no. 24). In the compositions, a whole range of signals, accompanying the aurora borealis can be heard. They originate in the bombarding of the Earth’s magnetosphere with charged solar wind particles. While listening to these pieces they fully realise the permanent interaction between the Sun and the Earth. The project was partially financed by the Scholarship of the Grudziadz City in the sphere of the Culture and Art. 6-panel digipak"